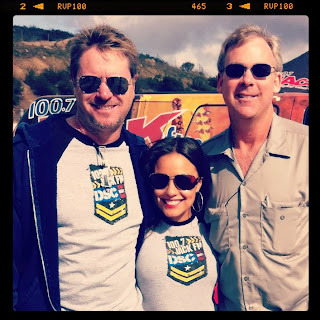 You all remember Elaina Dore Smith, the young, super-talented lady who was with The Dave, Shelly, and Chainsaw Show when they moved to 100.7 JACK FM. Elaina left San Diego a little over a year ago to assume the co-hosting spot on WA1A in Melbourne, Florida. She has settled in there very nicely, I see her through Facebook at many appearances, and text her from time to time to see how she's doing, she is doing a terrific job there! Well, there is a big change coming, and when I say big, I mean BIG! I am waiting for the green light, when she gives it to me, this story will be updated and you will all know the news! Elaina, thanks for letting SanDiegoRadio 'scoop' this! Hope she comes back to one of the CHR stations.